The aFe Throttle Body Spacers are constructed from billet aluminum for a premium quality product for your E46 325i/Ci/iT/xi. 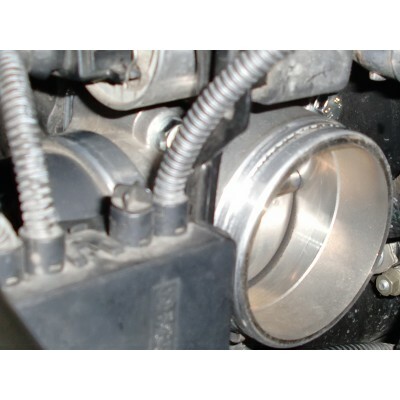 Improve performance and fuel efficiency from your BMW E46 325i/Ci/iT with aFe Throttle Body Spacer 46-31008. The E46 325i Throttle Body Spacer installs in between your intake manifold and throttle body and creates turbulence in the air that is entering the engine. This turbulence allows for a more complete mixing of fuel and air which produces performance gains. Gains to be expected are 10 horsepower and 14 Ft./Lbs of torque. AFe Throttle Body Spacer 46-31008 is constructed from billet T-6061 aluminum for durability and to ensure it will last your E46 it's lifetime. 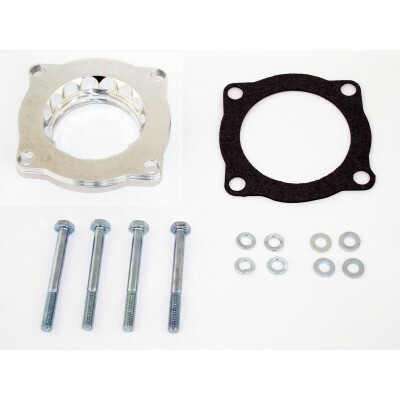 Unlike many other throttle body spacers aFe Spacer 46-31008 uses unique serrated edges that eliminated the annoying whistle commonly associated with throttle body spacers. 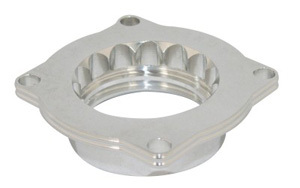 E46 325i aFe Throttle Body Spacer 46-31008 provides a great bang for your buck.